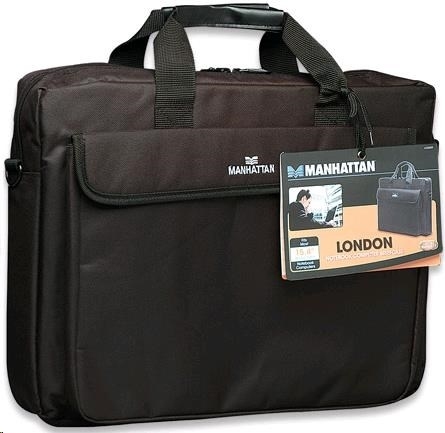 The MANHATTAN London Notebook Computer Briefcase is a practical solution with streamlined, traditional styling that easily travels and fits almost anywhere – under airline seats, into overhead bins and into larger luggage pieces. A single, wide deep front pocket keeps vital items, papers and accessories safe but within quick reach. Its secured flap with closure protects stowed contents. 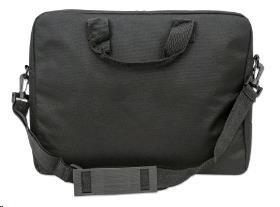 Dual strap handles with reinforced stitching and an adjustable, removable shoulder strap give mobile professionals multi-purpose carrying options. * Always measure equipment exterior to determine compatibility. All bag dimensions are approximate and may slightly vary..